ARLINGTON, Texas, Dec. 13 /PRNewswire/ -- The Texas Association of Campground Owners has just released the 2008 edition of the Texas RV Travel & Camping Guide, a free, four-color glossy magazine that lists more than 400 campgrounds and RV resorts in Texas and New Mexico. "The demand for the guide has increased to the point where we have had more than 2,000 pre-release requests for the guide," said Brian Schaeffer, executive director and CEO of the Arlington-based Texas Association of Campground Owners, which distributes the directory free of charge through affiliated campgrounds, Texas Travel Information Centers, chambers of commerce, visitor's bureaus and RV shows. 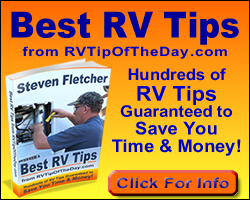 The 2008 directory will also be distributed at three upcoming RV shows, including the Rio Grande All Valley RV Show, Jan. 10 to 12, at the Rio Grande Fairgrounds in Mercedes; the Houston RV Show, Feb. 13 to 15 at Reliant Center in Houston; and the Dallas RV Super Show, Feb. 21 to 24 at Market Hall in Dallas. Content from the 160-page directory will also be available online in January at http://www.texascampgrounds.com and http://www.gocampingtexas.com. The 2008 directory provides detailed descriptions of over 400 private campgrounds and RV resorts, or roughly two thirds of the private parks in Texas. A small number of New Mexico parks are also included in the directory. The directory is broken up into seven sections, each representing a distinct region of Texas. An eighth section is dedicated to New Mexico. Locator maps are provided at the beginning of each section, with numbered listings of the campgrounds for each region. Campgrounds are also alpha- indexed by city and park name. Each listing includes driving directions and a miniature locator map. The directory features a Texas Saver Card, which provides 10% to 15% discounts at participating parks. For more information about the 2008 Texas RV Travel & Camping Guide, or for statistics involving camping trends in Texas and New Mexico parks, please contact Brian Schaeffer at (682) 518-1989 or visit the association's website.